Say cheese! 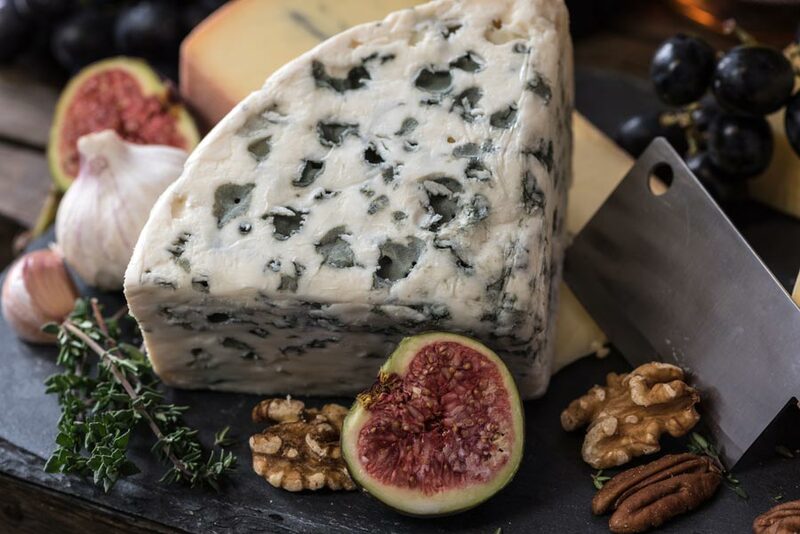 Introduce yourself to some of Canada’s most flavourful cheeses with these tasty recipes. With over 400 Canadian cheeses to choose from, you can explore a new, delicious flavour every day for the next year and more! Get started with these recipes featuring some of the best Canadian cheeses. Heat oven to 350 °F (180 °C). Cut top rind off the Canadian Camembert. Put cheese in baking dish. Prick top with fork, 10 to 12 times. Drizzle a little liqueur over top. Toss apricots, raisins and pine nuts with the rest of the liqueur. Scatter mixture over cheese. Bake 8 to 10 minutes, until softened. Serve warm or room temperature with crackers or bread. In a large skillet, melt 1⁄2 tbsp (7 mL) butter on medium heat. Add walnuts and cook for 5 min. Add maple syrup and let caramelize while stirring for 2–3 min. Once mixture has thickened, set aside. In the same skillet, melt remaining butter and cook onions for 12–15 min, or until softened and browned. Let cool at room temperature. To make dressing, use a hand blender to purée raspberries with vinegar in a medium bowl. Season with salt and pepper. If desired, pass through a sieve. 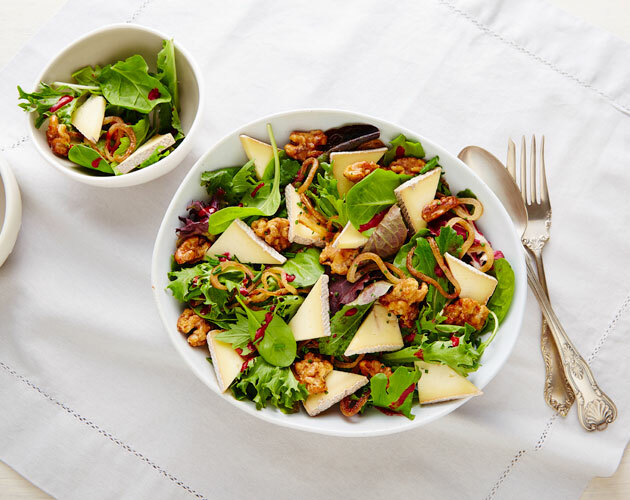 Divide lettuce, walnuts, onions, cheese and chives among plates. Add raspberry vinaigrette and serve immediately. Capturing the taste of summer at its peak of perfection is so much more than just a flavour experience. Making your own preserves is a way of celebrating the season and making kitchen memories that last a lifetime. And you’ll be hard pressed to find something that makes a more satisfying pairing with your favourite Canadian. In a saucepan, mix together all ingredients except the cheese. Bring to a boil and cook on medium-high heat for 15–20 minutes. Transfer jam to a jar and let cool before refrigerating. 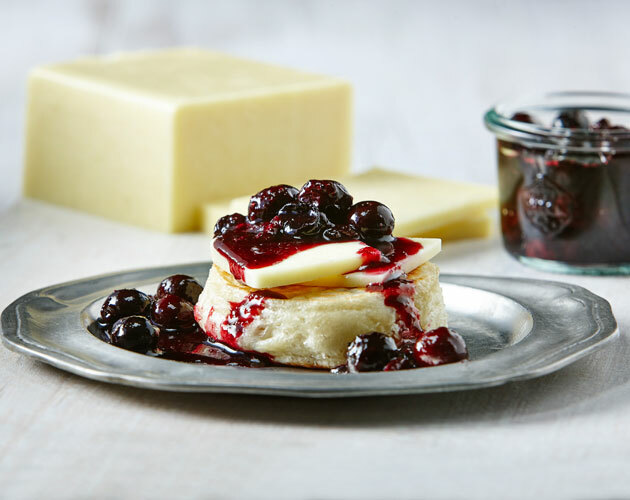 Serve jam on a warm homemade or store-bought crumpet topped with Aged Cheddar. Preheat oven to 425 °F (220 °C). Place pizza crust on baking sheet or pizza pan. Spread Caramelized on- ions over crust. 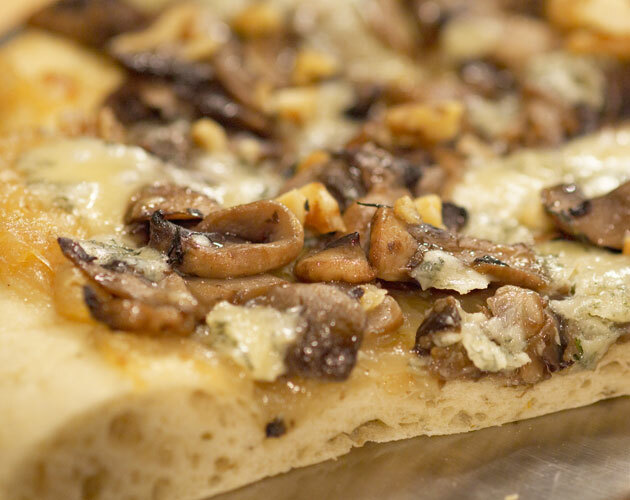 Top with Buttered Sautéed mushrooms, walnuts and blue cheese. In large skillet, melt butter over medium heat; add onions, sugar and salt. Cook, stirring occasionally, for 30 minutes or until onions are very soft and caramelized. Set aside to cool. In large skillet, melt butter over medium-high heat; add mushrooms, garlic, thyme and salt. Cook stirring occasionally, for about 8 – 10 minutes or until mushrooms are tender and liquid is evaporated. Season with black pepper to taste. Set aside to cool. 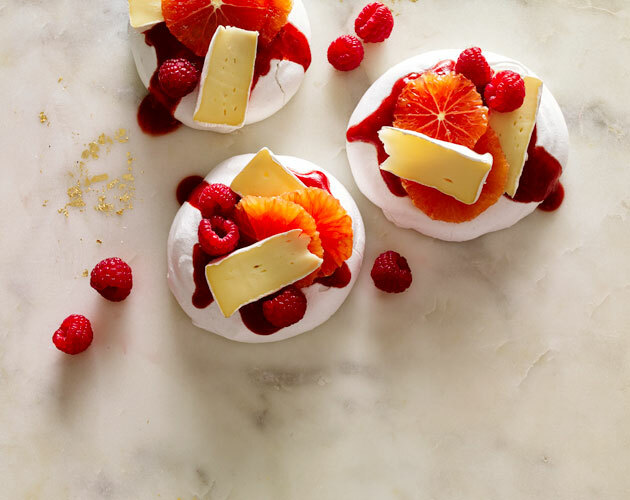 Named after the famous Russian ballerina, pavlova is one of the most elegant des- serts you can serve. 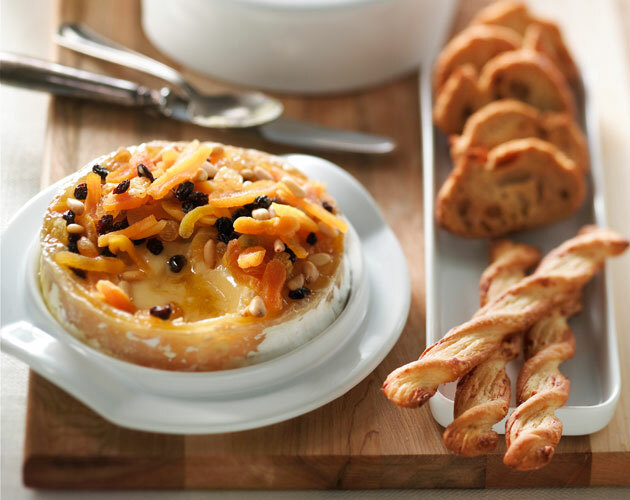 The addition of Brie transforms it into a dessert-and-cheese course that’s neither too sweet nor too filling cheese. ￼￼￼￼Preheat oven to 250°F (120°C). Line a baking sheet with parchment paper. In an electric mixer, beat egg whites with vinegar until stiff peaks form. Add cornstarch, cardamom and 3⁄4 cup (175 mL) sugar and continue beating for about 5 more minutes. Transfer mixture to the baking sheet and form 6 or 8 circles about 31⁄2 ̋ (9 cm) in diameter and 3⁄4 ̋ (2 cm) thick. Maple Marinated Apricots: In a small pot, over high heat, combine apricots, maple syrup, vinegar, salt, and pepper. Cook, stirring frequently, for 5 minutes or until the apricots are just warm. Set aside and let cool. Spread butter on one side of each bread slice and place buttered side down on work surface. 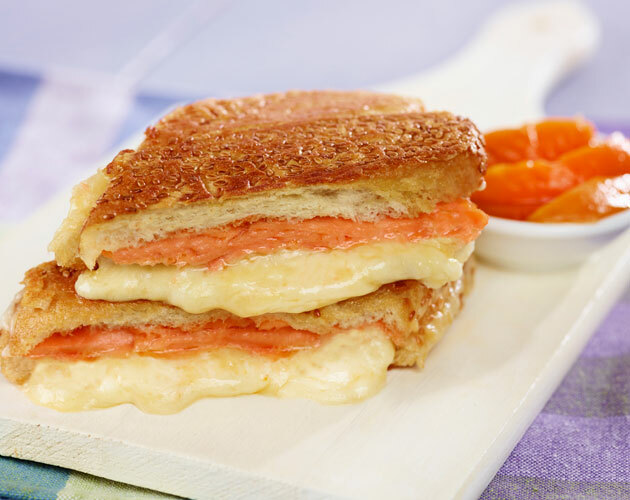 Place two slices of salmon on four bread slices and sprinkle evenly with Village Cheese Smoked Salmon Cheddar cheese and Terroir Gruyere cheese. Top with remaining slices of bread, butter side out. Reheat a large cast iron pan over medium heat until hot but not smoking. Cook sandwiches, in batches, turning once, for 3 to 4 minutes on each side or until golden brown with crispy edges, adjusting heat as necessary to prevent burning. Serve immediately with Maple Marinated Apricots.